Halloween’s right around the corner and I’m ready for some fresh new decor! DIY Halloween decorations are truly the best. Halloween is meant to be silly, fun and interactive so why not have fun creating your own Halloween decor?! I had some awesome glow in the dark paint in my collection, so I knew I wanted to use it to create something fun and spooky! 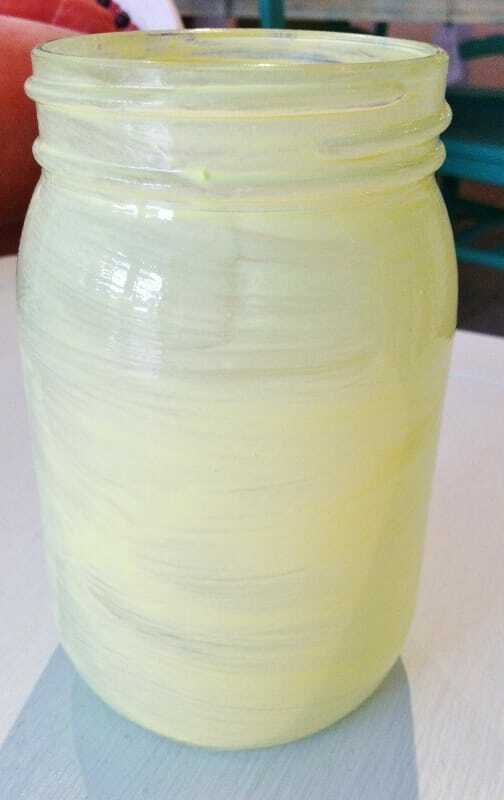 These DIY Glow in the Dark Goblin jars took less than 15 minutes to make and they look amazing! Just imagine these guys set outside your home on Halloween night! In a small bowl, mix together two tbsp. of Glo-it paint with one small dash of citron green paint (just to add a touch of color). 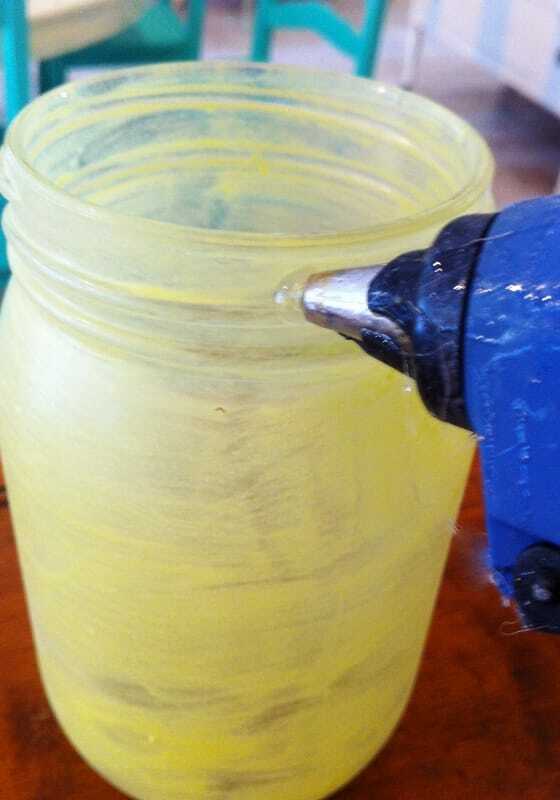 Paint the jar! 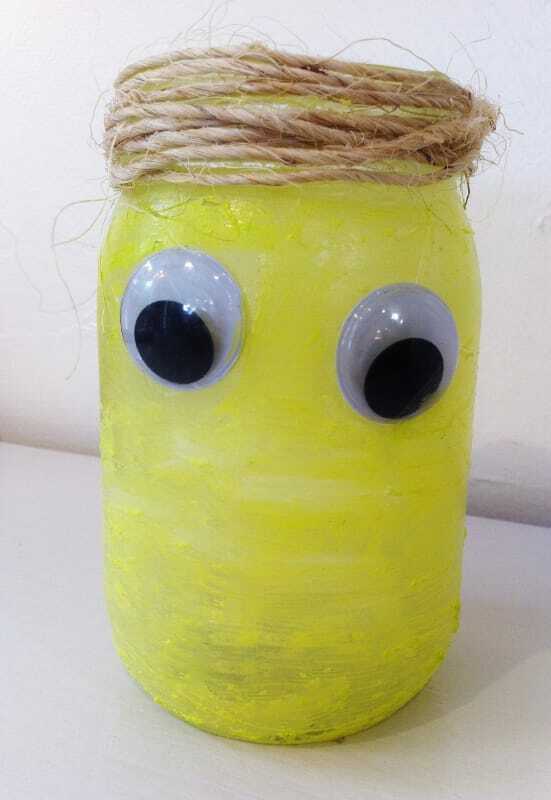 Once the jar has dried, about an hour, apply a tab of hot glue to the rim of the jar, then twist twine around it. 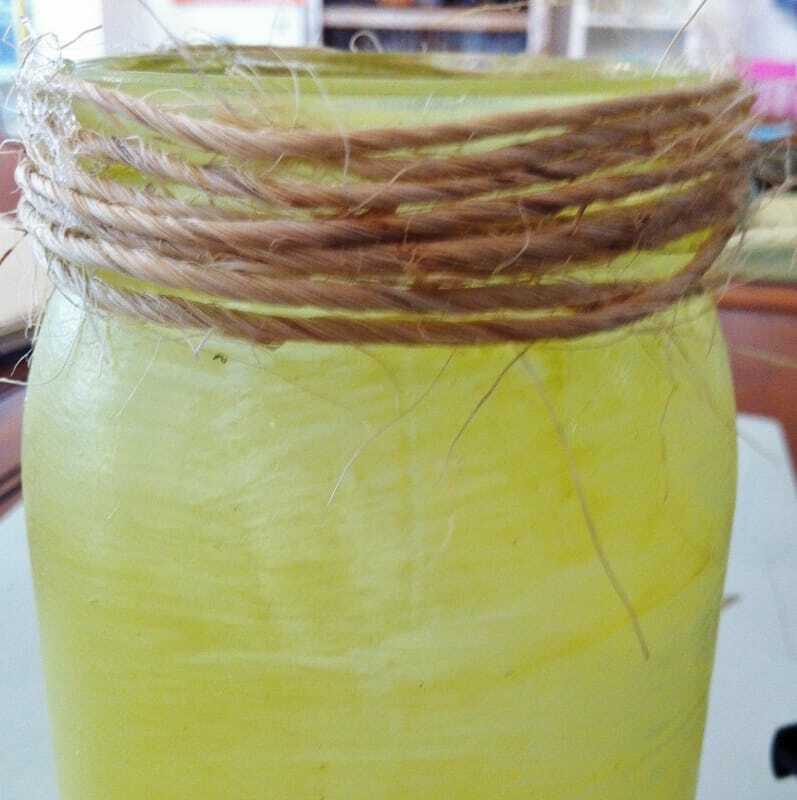 Secure the end of the twine with another dab of glue. 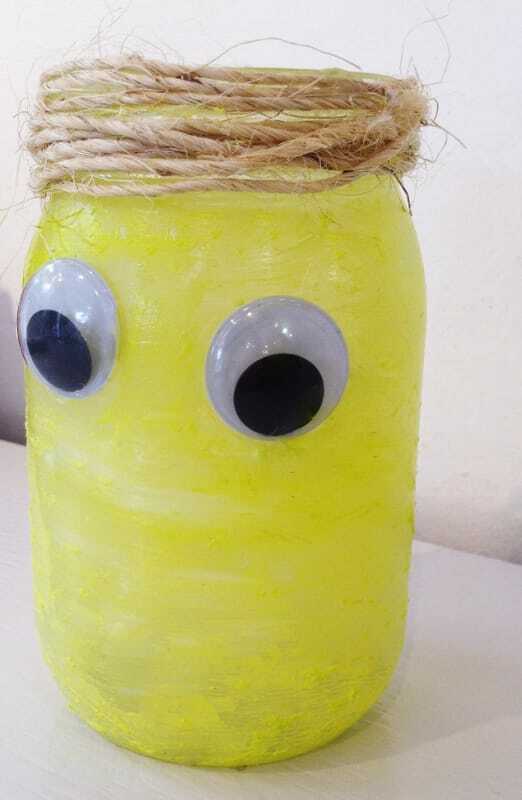 Finally, attach the eyes to the jar using two more dabs of hot glue. There you have it, a Glow in the Dark Goblin Jar! 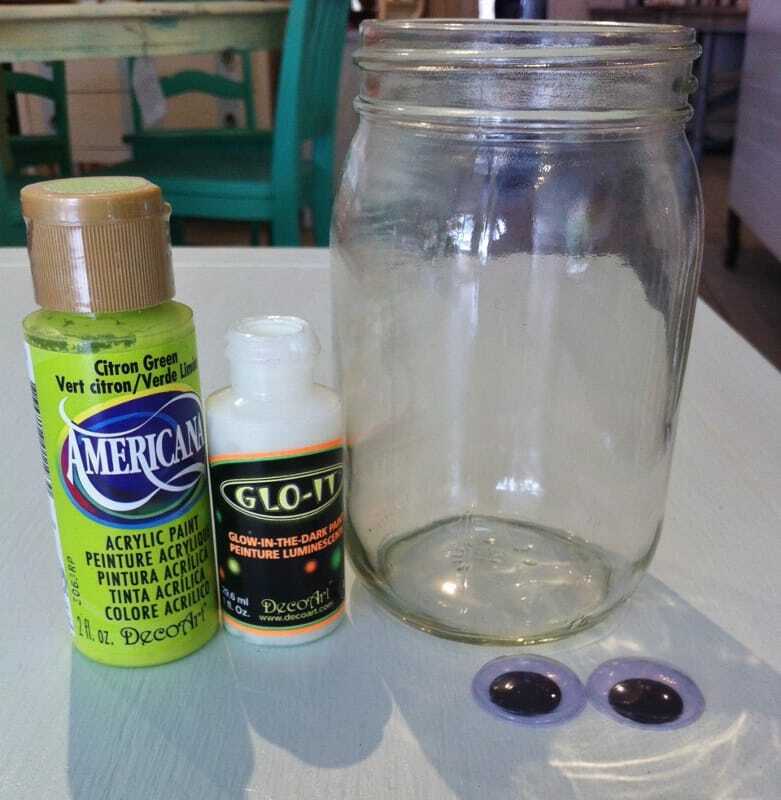 Fill these jars with some witch fingers or Set a few of these out on Halloween night and they’ll add a spooky ambiance all on their own!